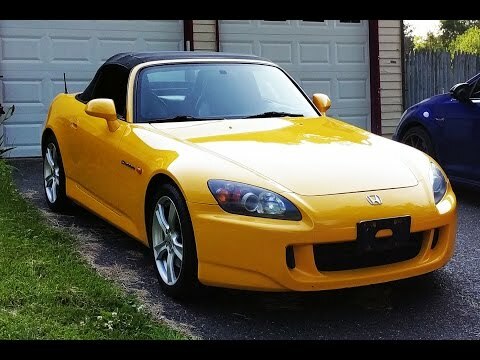 If you love the feeling of riding a motorcycle without a helmet, but your balance just isn't what it used to be, check out the 2008 Honda S2000. Those looking for startlingly-quick performance and remarkable nimbleness, but with a Honda price tag and build quality, won't be disappointed. I love driving with the top down it gives me a sense of freedom. No problems, just change oil and tires. I have never had any maintenance problems. Honda is a very reliable vehicle. I would definitely buy another. Honda car. Mine is a convertible and a feel free driving with the top down. The one thing I do not like, it has square cup holders. The battery messed with the radio and lights. Love the way it drives looks and gas mileage. Hate they handling and upkeep. I paid too much for it and insurance is somewhat high. 2008 Honda S2000 vs 2016 Mazda MX-5 Miata Club - Head to Head Review!